Students labeled as "gifted" have a unique set of educational and personal/social needs. To help these students discuss these needs in a safe environment, I facilitate an hour classroom-based counseling lesson. We do follow-up lessons as needed. If you do not have a gifted education classroom in your building, you could do these activities with a small group. We begin by discussing the similarities and differences between our gifted education classes and regular education classrooms. 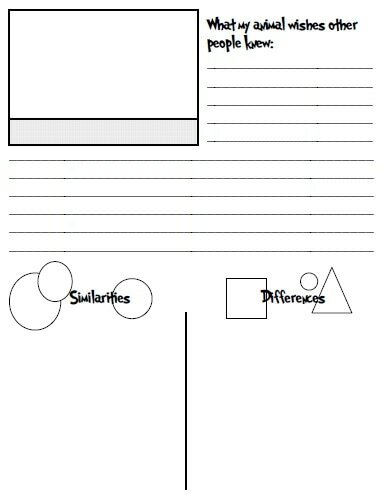 This helps jumpstart student reflection. Many students often feel like outsiders and have a difficult time expressing these thoughts and feelings. After our discussion, students receive a stuffed animal (I use Beanie Babies). I explain that these animals are gifted. 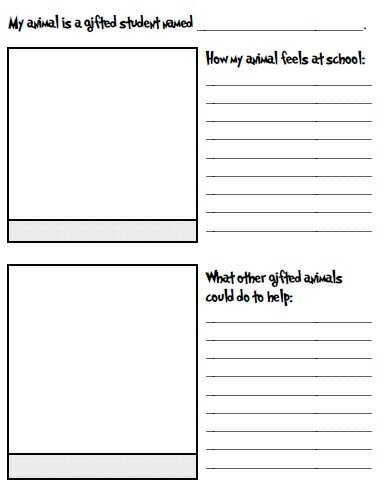 Students then complete their workpage for their animal, describing their feelings and school experiences. When finished, students share in small groups, then discuss as a whole class. In my experience, once students start talking, there is a domino effect where everyone feels safe to express themselves.